As the business world, the stock market, and the Internet become more complex, the government has come to define a wider range of activities as crimes. Activities we couldn’t conceive of a generation ago are now considered fraud. Unfortunately, people get caught up in schemes and activities that they have no idea are criminal. So-called white collar crimes are a group of nonviolent crimes committed for financial or business reasons. 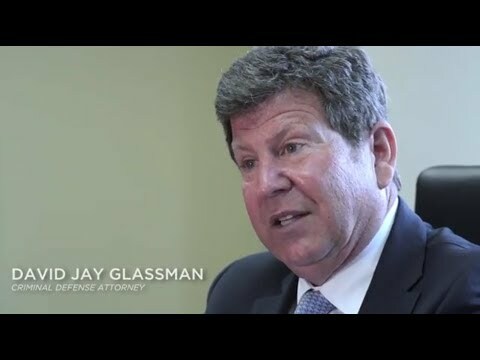 At the Law Office of David Jay Glassman, we put more than 35 years of criminal defense experience to use in defending New Jersey clients against charges such as fraud, bribery, money laundering and embezzlement. What constitutes a white collar crime under New Jersey or federal law? Our firm defends New Jersey clients accused of any of these crimes. We use every legal tool at our disposal to defend your business and your rights. When the state or federal government brings any of these charges, they must support the charges with evidence that often includes a convoluted and tenuous paper trail. Our white collar defense attorney has decades of experience examining this type of evidence and picking it apart to find flaws in the case against you. We work with you to craft a solid and aggressive defense so that you can avoid incarceration, fines or other punishments. It is important to start building your defense as soon as you suspect you may be the subject of an investigation. We understand that even an accusation of illegal activity can wreak havoc on your career and business relationships, so our legal team works as discreetly as possible to protect your reputation. Nearly all transactions in today’s business environment entail the use of computers, especially when they involve stocks or financial instruments. The Justice Department has virtually endless resources to comb through every transaction and communication related to an investigation in order to find one out-of-place email. You need an attorney with the experience and capability to fight back. Our legal team aggressively fights these charges against you. Fighting an accusation of bribery, fraud or embezzlement is essential for defending your reputation and avoiding serious punishment. At the Law Office of David Jay Glassman, we have more than 35 years of experience representing criminal defendants against all types of charges. To arrange a free consultation with a tenacious defense attorney, call us now at 866-221-1270 or contact us online. We have offices in Marlton, New Brunswick, Hackensack and Newark for your convenience, and our legal team handles cases throughout New Jersey.